You did the right thing....& it is a blessed thing in this world to feel confidence and pride among so many lost & confused individuals. Toot toot! Lol j/k. 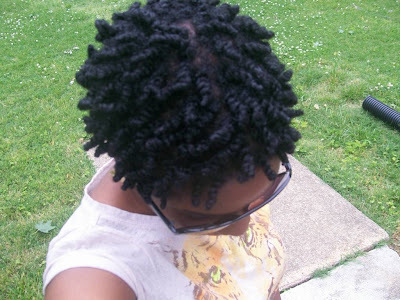 Girl, before you know it, you will have some fly twists of your own! Go ahead, mama! I know that you were looking fierce! They couldn't handle your gorgeous tresses or your fierce confidence. Haters are going to hate so ask God to bless them, and you keep moving on!